Es un aditivo líquido que ralentiza el cambio de color y la degradación física debida a la exposición al UV. Se puede utilizar con muchos productos de uretano líquido de Smooth-On. Failure to follow directions may result in the urethane system not curing or not attaining ultimate physical and performance properties. Follow safety precautions listed on the urethane material technical bulletin and MSDS. Store and use all materials at room temperature (73°F/23°C). 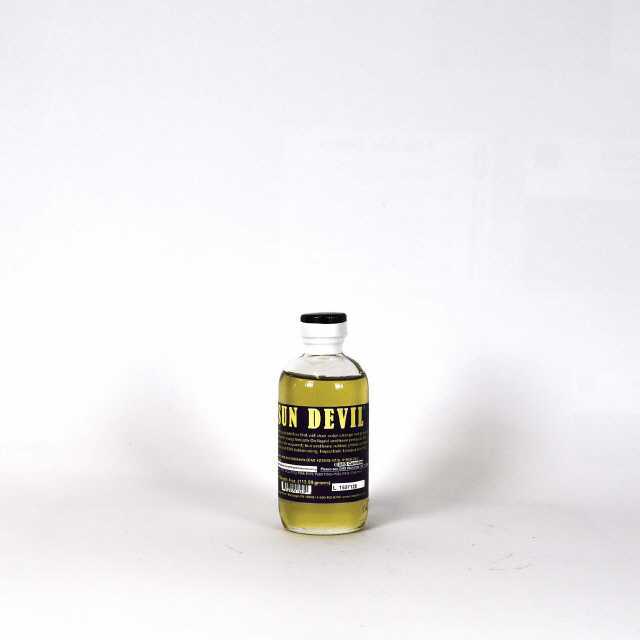 Sun Devil® is added as 1% of the total weight to the urethane system. Use a gram scale for best results. Do not add more than 1% of total system weight. Calculate the required amounts of Part A and Part B of the urethane rubber, plastic or foam system by weight to be combined. Calculate 1% of that total to determine the amount of Sun Devil® to use. Pre-mix Sun Devil® thoroughly with Part B and then add Part A. Mix all three components thoroughly according to the urethane material technical bulletin and apply material.